Bears. Can’t live with ’em, can’t live without out ’em. Well, actually we probably could live without them, but who would want to? Those cantankerous furballs, like all rare wildlife, make our time in the woods that much more fulfilling and interesting. However, they also add an extra level of frustration and necessitate at least a few extra ounces in our packs. 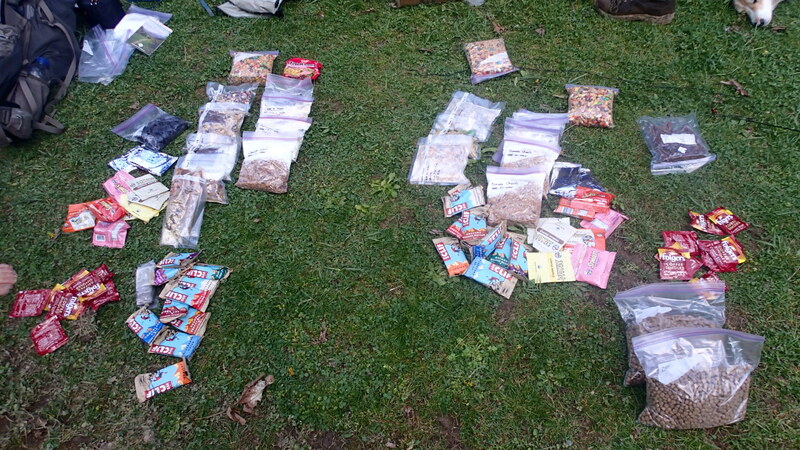 As diligent researchers and practitioners of Leave No Trace ethics, I’m sure all former thru-hikers take the injunction to “respect wildlife” seriously, and know the rules and regulations regarding storage of food. As for prospective hikers, I’m here to review another option to keep those pesky bears away from your precious Snickers. It is important to note, first of all, that you will not have to worry about “bear-bagging” every night on the trail. 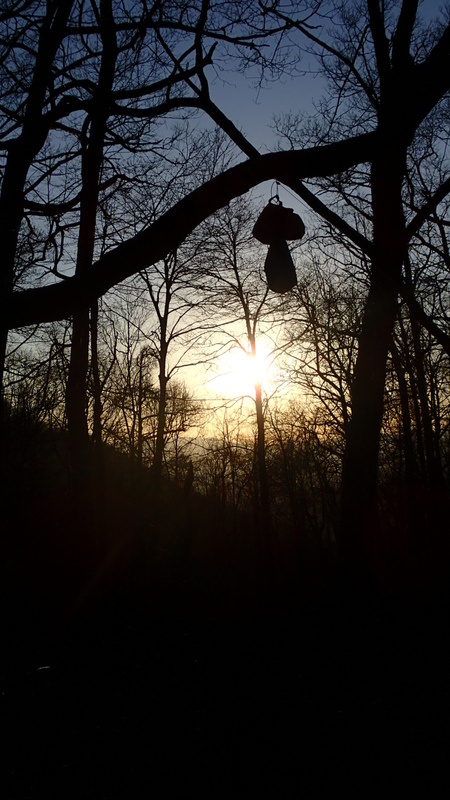 In Great Smoky Mountains National Park, each shelter is equipped with cables and rigging to hang your food, or your entire pack, making food storage much more convenient. In Shenandoah, every shelter has a pole for food hanging, which I must say is considerably less convenient than the cables, but still beats throwing a rope over a tree. You’ll find these poles, cables, and bear boxes at other shelters and campsites along the trail as well, but for the most part, you will be responsible for your own food storage. To that end, you essentially have three options: 1) use a standard bear-hang, your food suspended on a rope thrown over a high branch, 2) carry a bear-proof food canister, or 3) just forget it and keep your food in your tent. You may be tempted to keep your food in your tent, but do not keep your food in your tent. There are many stories of hikers along the A.T. who were injured when bears swiped through the flimsy nylon of their shelter in search of those delectable granola bars. On top of that, many people forget that bears are not the only critters you have to worry about when protecting your food. Do you really want a single mouse to chew a hole, or several, in your $300 tent because you were careless enough to sleep with your breakfast? The Ursack weighs in at just 7.8 ounces. Depending on your perspective, this may seem very heavy or very light. A typical bear-resistant container weighs anywhere from 2.7 to 3.7 pounds. The Ursack isn’t yet approved by the authorities of every outdoor recreation area, but the only place on the AT where a hard-sided canister is required is when camping between Jarrard Gap and Neel Gap in Georgia, a stretch of only five miles. Most hikers choose to simply walk through this section and spend their night just north or just south of it, to avoid this restriction. This means that the Ursack is allowed (and often encouraged) on 99.9% of the Trail. I know that to thru-hikers, every ounce counts, but comparing this 7.8 ounces with the 3.5 to 4 ounces required by 50 feet of parachute cord and a regular stuff sack for your food, I found the extra 4 ounces to be well worth it considering the convenience. This is far and away the strongest reason for my endorsement of the Ursack. Between finding the right tree (a branch at least 15 feet up and 10 feet out from the trunk is recommended), throwing the line successfully, and tying off your hang, it can easily take 15 to 20 minutes to finish your bear hang. One will of course get much more adept at the bear hang as time goes on, but as far north as Maine I continued to see thru-hikers struggling to get that rock or that stick successfully thrown over their branch of choice. 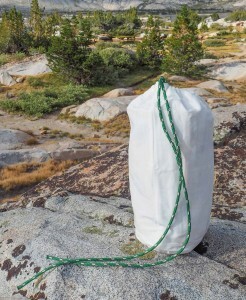 With the Ursack, you simply cinch it tight and tie it off to the trunk of a small tree or a log at ground height. You can even just lay it on the ground without securing it at all. Ursack has not yet received any reports of a bear dragging or moving one of their food sacks more than a few dozen feet from where it was stashed. I spent over 160 nights on the trail during my thru-hike, so I figure that I saved myself close to 30 hours of time that was much better spent reading, or just staring off into the trees and thinking about stuff, than throwing a rock over a branch and developing new and clever obscenities every time I missed. Ursack’s “bullet-proof” fabric has shown itself to be extremely effective at keeping bear teeth and claws at bay. The iteration of the product produced during my thru-hike was sown without Spectra thread, and this led to a few (an average of 2 per year) products being ripped at the seam. However, since the switch to using Spectra thread in spring of 2014, no such incidents have been reported. Even hard-sided canisters have been broken by bears before, so it’s my hope that more and more recreation areas will accept the Ursack after a few more seasons of trying and testing it. All other compromised food bags have boiled down to user error, usually a failure to cinch the bag tight enough (easy to do if it’s too full of food) or to pull the knot tight enough. The S29 AllWhite holds just over 10 liters worth of food. For my thru hike, that was enough room to easily fit an average of 7 and a maximum of 10 days worth of food (note that my brother also carried one as well, so you might find that absent another person with whom to share the load, your average may drop down to 5 or 6 days worth of food). Most thru-hikers I met rarely carried more than 3 or 4 days worth of food at a time, unless they had to, so this isn’t necessarily a bad thing. The issue is all the extra space and the weight of the “unused” fabric when one is not filling or using the bag fully. A couple ounces still adds up, and if you have the volume of food you take between resupplies down to a science, a 5 or 6 liter stuff sack may make a little bit more sense. This one is kind of a bummer. The fabric is not completely porous — and depending on how airtight the individual wrapping and packaging on your food is, it may not even be an issue — but there were maybe a half dozen times where it rained hard enough to make my food a little damp. Since everything I ate was usually vacuum sealed and protected itself from the elements well, I didn’t really lose out on anything too bad. That said, a regular stuff sack isn’t waterproof either, and in fact a bear hang is much more exposed to the elements hanging in space than the Ursack is stashed on the ground, where you can cover it with branches or pine boughs to add even a little more protection. 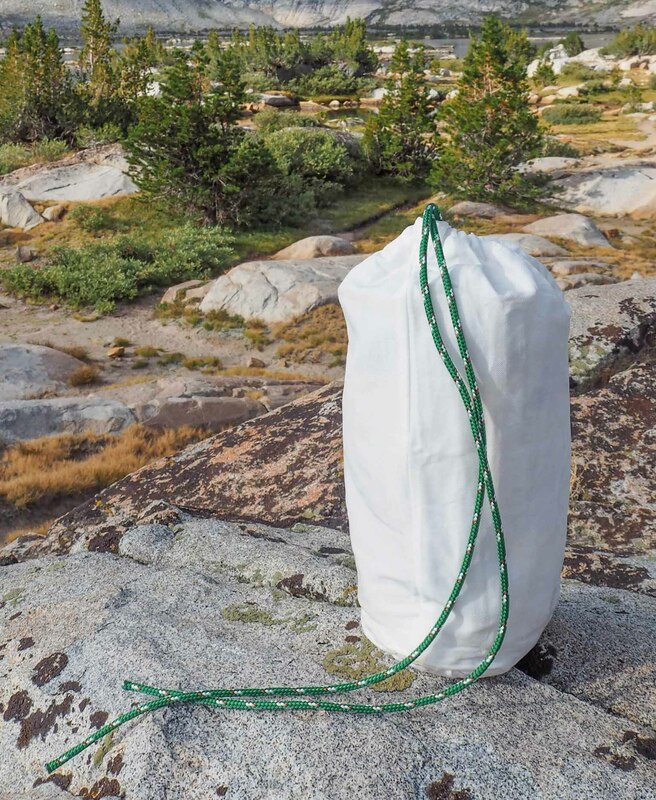 As alternatives, a paltry few more ounces will get you a waterproof stuff sack for your bear hang, or a waterproof liner for your Ursack itself. As I said, this may be an issue on a hike where high and hard rainfall is expected, but for me it did not prove to be problematic the majority of the time. This was far and away the biggest problem I saw with my Ursack. My sack was finally compromised at Bromley Mountain in Vermont, 1,642 miles into my hike. It was not done in by a raging black bear, but instead by the most tenacious mouse I have everhad the displeasure to come into contact with (the same mouse, in the same night, also chewed a hole through my hat and three holes in various places in my pack). It is pretty remarkable to me that a “bullet-proof” fabric that turns away bears with ease cannot resist a little impassioned chewing from a small rodent. Ursack makes another product, called the Ursack Minor, designed to be resistant to most other critters, rodents especially, but its defense against bears is lacking. Worse yet, the warranty on the AllWhite only covers damage done by a bear, not any other critter (when I did call the company to report my mouse incident, they were prepared to send me a new AllWhite for free or for a very low price, but they were back-ordered at the time). For my part, I chose to sew up the hole in my AllWhite with high-tensile thread and hope for the rest for the remainder of my hike. And indeed, no bears and no more mice made their way in. 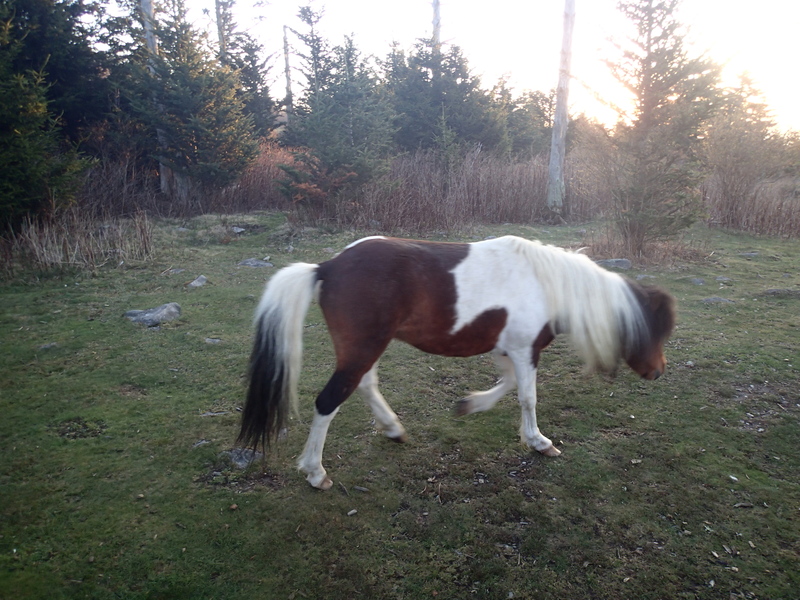 I can confirm, however, that the Ursack is pony proof. The other factor to consider is price, which is hard for me to list as either an advantage or disadvantage. Ursack recommends, for full protection, purchasing the S29 AllWhite, a odor-barrier Opsak, and an aluminum liner, which adds considerable weight and considerable cost to your food storage system. I don’t recommend using either the aluminum liner (it’s simply too heavy to justify, and it makes the sack a lot harder to work with when packing your gear) or the Opsak (it makes packing your food itself away a lot more difficult). The AllWhite by itself comes in at $69.95, which to me is a small price to pay for the convenience of never having to throw a rock over a branch for six months. For my final word, I highly recommend the Ursack for an Appalachian Trail thru-hike. In spite of the fact that mine was compromised by a mouse, and the fact that you can get 50 feet of parachute cord and a stuff sack for about $10 or less, the conveniences far outweighed the disadvantages. The last thing I ever felt like doing after a 25 mile day was faffing about with ropes and trees for 15 minutes, and I have to admit that I took a perverse pleasure in watching other hikers struggle with their bear hangs in the failing light, comfortable in the knowledge that all I had to do was toss my food in the woods a few dozen meters from camp. 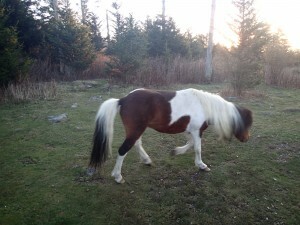 Check out Ursack.com for more information. I started using the Ursack last fall. Everything you said is true but I would like to add one more thing. When it is pouring rain when you arrive at camp, who wants to even look for a proper tree to hang a bag. What about just popping it into a trash compactor bag or similar when it rains? Easy to mend mouse nibbles with a smidge of duct tape. Thanks for the great write-up. I believe you’re right about the time savings and lack of hassle as big advantages. Bumemr about the critter that got your bag. Perhaps something like a “Nylofume” bag could be cut down and used as an odor barrier bag inside the Ursack for odor protection. Pest control folks use them to protect lots of stuff (food included, double bagged) when they spray a house. A compactor/contractor bag may work as well, as nikita mentions above. Not sure if they’re as odor-proof, though. I hope you had an older model, because I’d like to believe they solved the biggest problem about this bag.